Spices are considered medicine within Ayurveda, the traditional medical system of India. 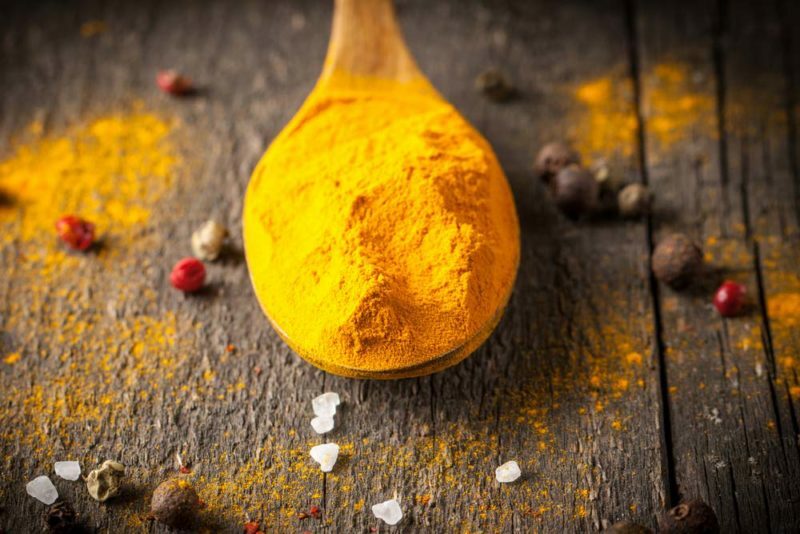 You may associate them with meat rubs for the barbecue or the occasional curry but you may not realize what a profoundly positive effect they could have on your health. Spices are the most nutrient-dense and antioxidant-rich foods on the planet. Scientific research has confirmed profound healing effects from spices. The biochemistry and physiology behind these effects are now understood to be mediated by 4 main mechanisms – antioxidant, anti-inflammatory, blood sugar regulation, and digestive enhancement. Third, there is promising research suggesting that spices can help to maintain healthy blood sugar. Finally, spices are used in Ayurveda for maintaining a healthy digestive tract. Ayurveda believes that all disease starts in the gut. Therefore, spices can be used as incredibly powerful tools for maintaining health and preventing illness. There are a number of key studies which prove the remarkable therapeutic effects of spices. Warm up 8 ounces of milk in a pan over medium heat. Add ¼ teaspoon each of turmeric and ginger, and 1/8 teaspoon of black pepper. Stir well to mix the spices. Let the milk begin to simmer — small bubbles will form on the sides of the saucepan. Stir. Allow to heat for another minute or two. Then remove from heat and serve. Ginger is used extensively in Ayurveda for its digestive benefits, anti-inflammatory properties, and energizing effects. Like most spices, it is an outstanding source of antioxidants; its key phytochemicals include gingerols, paradols, shogaols and gingerones. Ginger is used traditionally in Ayurveda for digestive disorders such as indigestion, heartburn, and constipation. Clove is a simple, unassuming spice that is an antioxidant superpower. In a study that measured the antioxidant capacity of 24 common spices, clove was the compound that was ranked number one. Cloves are also rich sources of vitamin K, fiber and minerals including magnesium, iron, calcium, and manganese. Clove has powerful anti-inflammatory properties; in one study, it was able to reduce blood levels of inflammatory markers after just 7 days in volunteers who consumed a small amount of clove daily. This study attempted to replicate typical daily consumption of spices and not what one would get from taking a supplement; this supports the idea that regular consumption of small quantities of spices in culinary qualities has measurable therapeutic effects. It also demonstrated benefit after only 7 days of consumption, suggesting that spices can effect measurable changes rather quickly. Other spices that I discuss in my book “The Paleovedic Diet” are cumin, fenugreek, fennel, coriander, black cumin, curry leaf, ajwain, and saffron. For more details about their healing properties and ideas about how to incorporate them in over 50 recipes, please refer to my book. Spices are essential for people who value nutrient density and are seeking to prevent disease through natural means. Their antioxidant, anti-inflammatory, and digestion-enhancing properties qualify them as true superfoods – and they make your food taste better as well! Dr. Akil Palanisamy, MD, is a Harvard-trained physician, author, speaker, and holistic medicine expert in integrative and functional medicine. His new book, “The Paleovedic Diet”, integrates the best of conventional and holistic medicine. Dr. Akil seamlessly blends the Paleo diet with Ayurveda and the latest research in nutrition and medicine to present a customized roadmap to perfect health. Based on his own experience with thousands of patients, Dr. Akil provides definitive, practical guidance on what to eat, how to move, how to sleep, how to manage stress and even how to breathe. He presents a revolutionary three-week plan that utilizes nourishing foods, powerful healing spices, and intensive detoxification to help you lose weight, improve energy and achieve lifelong health.